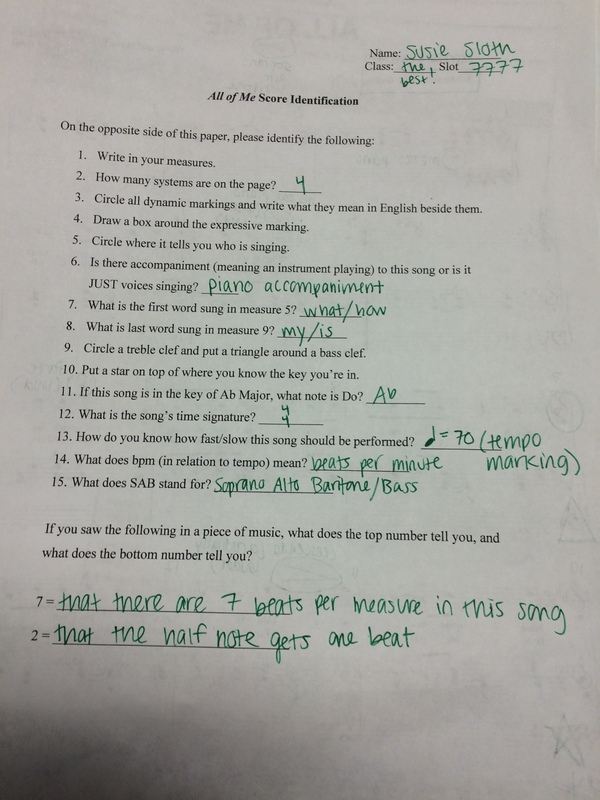 At the request of some 8th grade students, here is the score reading practice example we did in class on Wednesday. 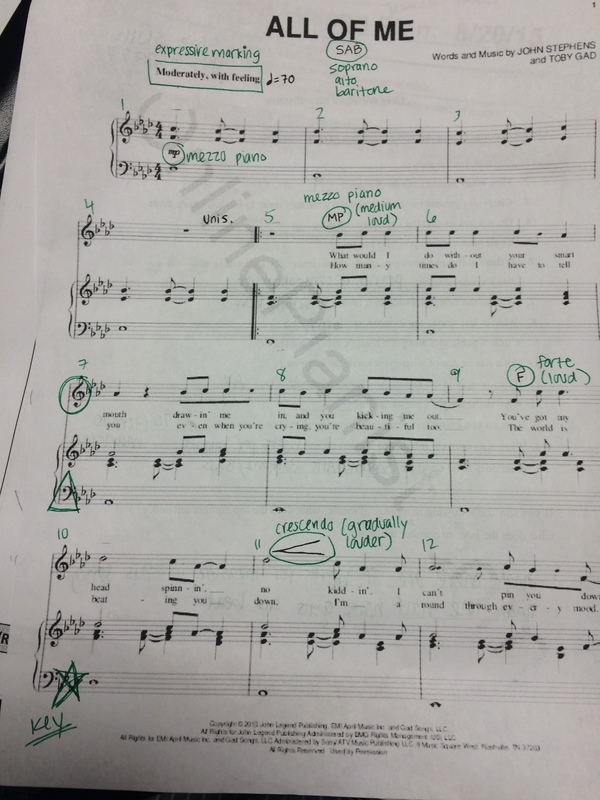 Remember that the format of the quiz tomorrow will be almost identical, so if you can identify each of the terms, symbols, and score parts on the song below, you will do great tomorrow! If you click on either image, it should open up larger in another tab. You should also be able to download. Previous PostHappy First Week!Next PostDistrict Honor Chorus Auditions Next Week!